Learn how cyber threat intelligence (CTI) helps you bolster defenses, hunt down adversaries, investigate incidents and make better security decisions. While once considered a “nice to have”, Cyber Threat Intelligence (CTI) is now widely considered an essential weapon against breaches. A recent study by Enterprise Strategy Group (ESG) found that 72 percent of organizations plan to increase CTI spending — further validation of its important role in your security strategy. Yet, because threat intelligence comes in many shapes and forms, it is often misunderstood. 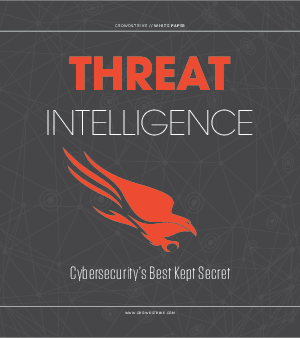 This white paper, “Threat Intelligence: Cybersecurity’s Best Kept Secret,” offers in-depth coverage of CTI, including the different categories of threat intelligence and use cases that demonstrate CTI’s effectiveness in thwarting today’s most dangerous and sophisticated attackers. You’ll also learn how the right CTI can empower better security and executive decisions, while dramatically improving your organization's security posture.